The colorful fluorescent ribbons dancing in the night sky, known as the Northern Lights or Aurora Borealis, are one of the major highlights in Alaska for residents and travelers alike. Whether you are simply headed for a weekend getaway to the state’s interior or looking to plan a weeklong vacation, the Fairbanks Princess Lodge is the perfect destination. If you’ve never witnessed the Northern Lights, be sure to put it at the top of your list for a adventure in Alaska. The Aurora Borealis is caused when material thrown off the surface of the sun collides with the atmosphere of the Earth. The auroral discharge is more powerful than lightning. What does this mean to you? Well, it means that if the conditions are right, you have the chance to witness the amazing natural phenomenon of the Northern Lights, and your chances get a lot higher when you are in the interior of Alaska. 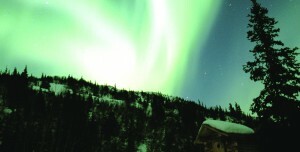 Due to Fairbanks’ unique location to the North Pole, in the auroral oval, the city has ideal conditions for viewing the Northern Lights between August and April. While there is a great chance that you will have an opportunity to view this spectacular sight in one or two night stay, it’s best to allow yourself several days to ensure optimal viewing opportunities and a chance to take in the many other great activities the Golden Heart City has to offer. 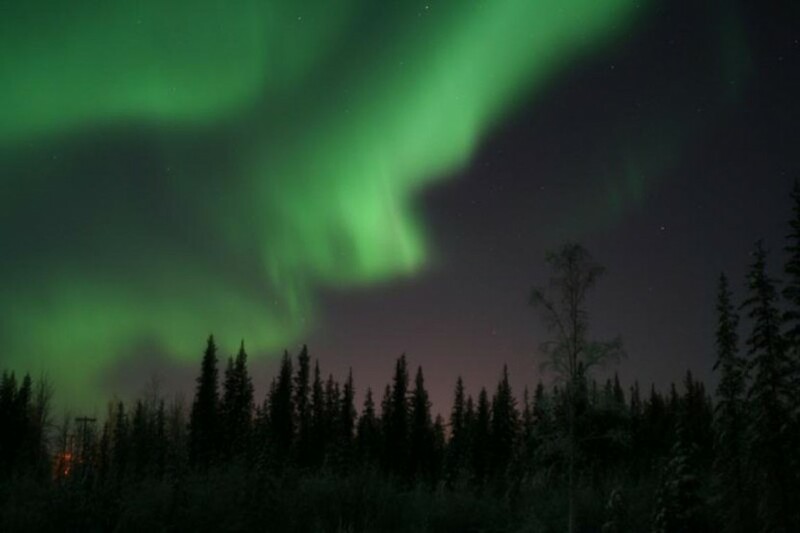 A couple of days prior to your trip, you can even check the Northern Lights viewing forecast.